BrandRefinery / Other / When PR can go right, and so very wrong! When PR can go right, and so very wrong! Every organisation, big, medium or small has a reputation to maintain in order to succeed. Every person in the world has an opinion and a perception that will drive their decisions. Public Relations is ‘The discipline that looks after an organisation’s reputation’ through communication with different stakeholders. Used wisely and it can take your organisation to new heights. Mistreat it and your company may suffer dire consequences. Below are two examples of both situations. Everyone knows who they are and what they are. But how have AriBnB made such a global name for themselves? At the rise of AirBnB was the Obama vs McCain election year. 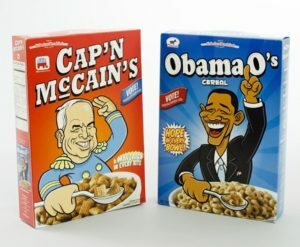 The founders of AirBnB saw their opportunity and created cereals boxes called Obama O’s and Cap’n McCain’s. They didn’t realise it at the time, but this was one of the best PR campaigns that year (apart from the election campaigns of course). The Obama O’s completely sold out and got their names out there to the important people. Paul Graham from Y Combinator and Sequoia Capital both pumped money into the idea, totalling $620,000. This was enough to get the idea off the ground and out into the public. PR can be your best friend, but it can also be your own worst enemy if not done correct. 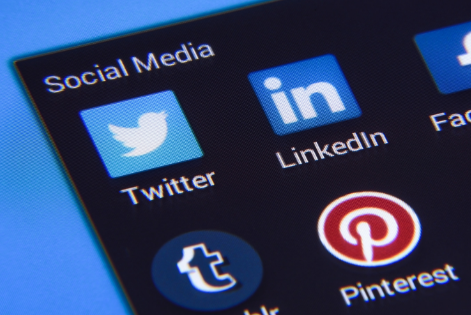 In many cases PR has reached out to your audience and your name is being noticed. But perhaps not with the message you originally intended. What it showed was white supremacy with a strong sense of racist undertones. The company ended up spending almost $7 million for PR before the ad was shown. After the Superbowl, they promptly sued their agency, Saatchi & Saatchi, that created the ad for them for $10 million. However, the damage was done. Just for feet’s reputation was ruined and has since been known as a racially insensitive company that promotes drug abuse. Factor in the aspect that this was only in 1998 when social media wasn’t as big as it was now, means they got off lightly. Nowadays, that ad would probably have gone viral causing a global outcry, the CEO would have had to resign, and the company would not have gotten away with placing the blame on their agency. Not everything revolves around money! This is a 1-page document that gives an overview of an announcement. The information within will be condensed to the important facts. You would then send it off to a list of journalists, who if they choose to do so, would write an article based off it. Used for: Announcements to the media. E.g. important events that will be happening, new product launch’s or the reveal of information during a crisis. This is where you create a list of people who have access to your target audience. Such as Social Media Stars, minor and major celebrities etc. Create a message and incentive for the influencers to share your content or name, through their channels to their audience. Used for: Brand awareness. Consumers trust recommendations from third parties more than from the actual brand. Influencers will give your brand credibility. This is a planned event designed to attract the public’s attention. Many companies will fork out millions of pounds for a stunt, however, that is not necessary. Have a strategic idea and a cultural moment and your stunt will cut through the media. If it is visual, clever and has a strong narrative, people will notice. Used for: Message Awareness. People will see the stunt but remember the message. PR could be considered analogous to looking after a small child, keep a close eye on them and they will behave, eventually growing up to make you proud. However, take your eye off them for a moment and they can run rampant and cause disaster in their wake, leaving you to deal with the consequences.